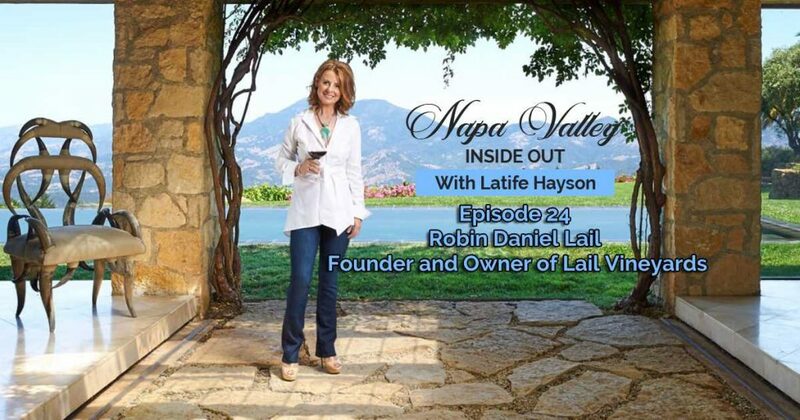 In this edition of “Napa Valley Inside Out” I sit down with the Grande Dame of Napa Valley, Robin Daniel Lail, Founder and Owner of Lail Vineyards. In Part 1 of our interview Robin shares her family’s deep history in the wine business. Our conversation starts with her great-granduncle Gustave Niebaum’s journey from Helsinki to Napa Valley, and his dream to produce “the finest wines which equal and exceed the most famous vintages of Europe”. We talk about his founding of Inglenook Vineyards and Winery in Rutherford in 1879, Prohibition, the transfer of ownership of Inglenook to her father John Daniel in 1936 and the legendary Inglenook wines that he made until his death in 1964, which are still coveted today by connoisseurs. Robin shares the memories of her life growing up at Inglenook and walks us through the history of Inglenook and how her childhood home and surrounding vineyards of nearly 2,000 acres were ultimately acquired by the Eleanor and Francis Ford Coppola.